Shallow waters, usually among eelgrass beds. 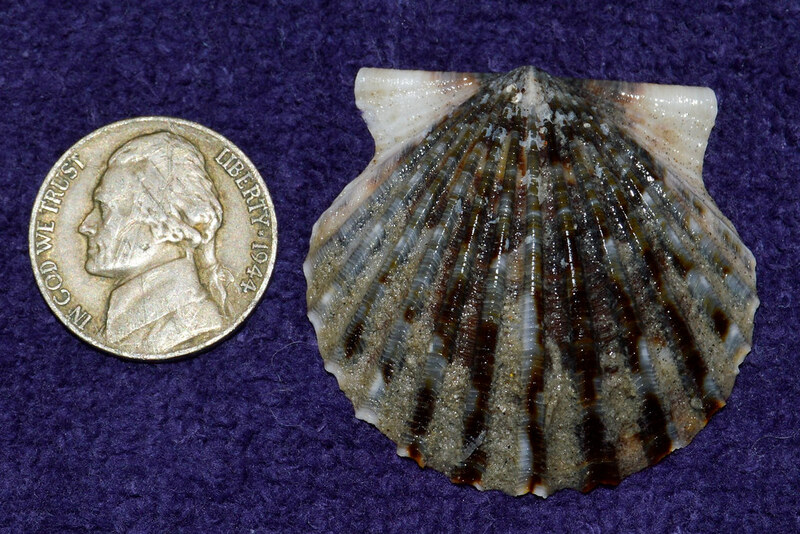 Unlike other bivalves, bay scallops lie on the bottom, rather than burrowing under the sand. 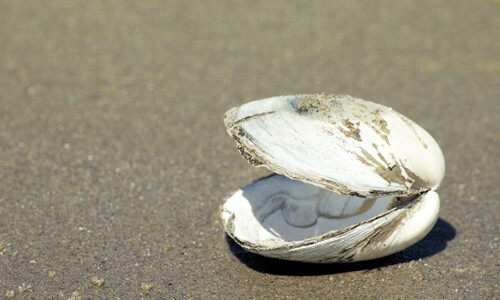 Their shells are often found on sandy beaches. 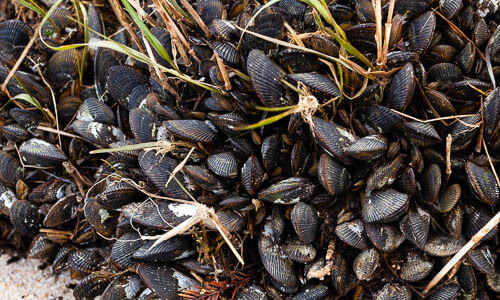 Lives in the salty waters of the lower Chesapeake Bay. 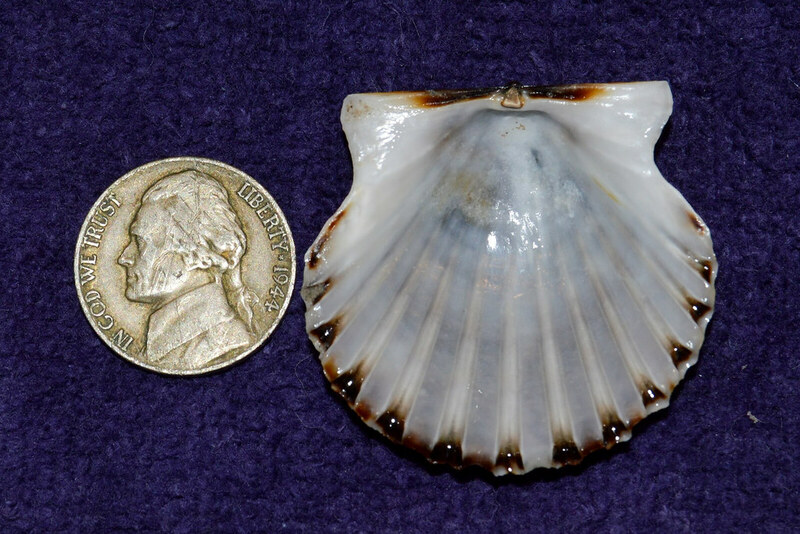 Bay scallops have rounded, corrugated shells that vary in color from gray or purple to reddish-brown. 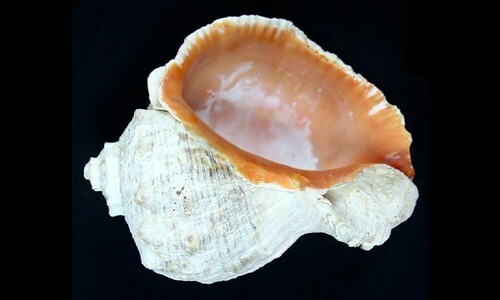 The interior of the shell is white, often with purple near the hinge. A pair of pointed “ears” appear at the shell's hinge. 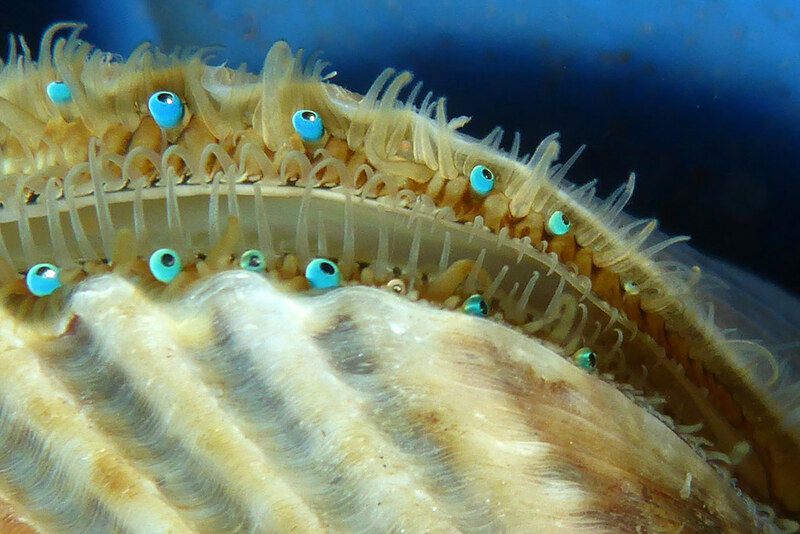 Scallops have short tentacles and 30 to 40 blue eyes around the edge of their shells. Unlike most other bivalves, bay scallops lack a foot or siphon. These scallops grow to 3 inches in diameter. Scallops are filter feeders, drawing water through their gills and filtering out plankton. Sea stars and other bottom-feeders prey upon bay scallops. They use their eyes to detect nearby predators. Scallops reach sexual maturity around age one. Spawning occurs in summer. Young scallops attach themselves to eelgrass and other objects by thin threads. They eventually drop to the bottom as they grow. Bay scallops will live approximately two years. Each eye has a lens, retina, cornea and optic nerve, enabling the scallop to see movement and shadows. Scallops move by rapidly clapping their shells together, forcibly ejecting water from the cavity. 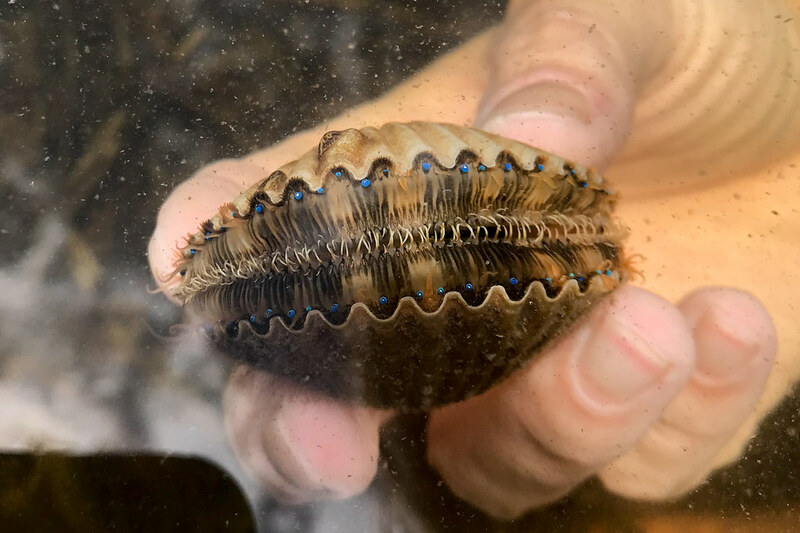 This is different than most other bivalves, which use a foot to move.